Our salon offers a full array of bathing, grooming and spa services for your pet. Listed below are our services and what they include. Our different Spa packages include Specialty Shampoos and Conditioners to suit your pets specific needs. 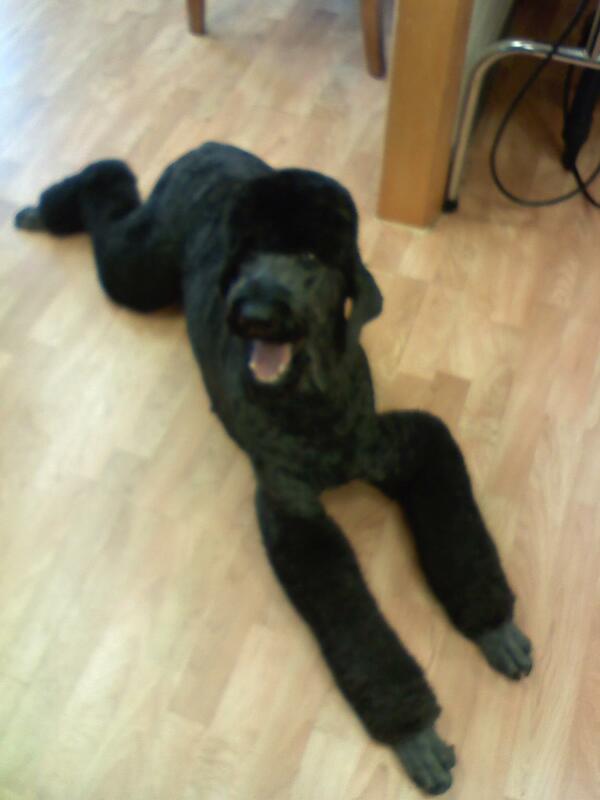 Here are some special things we do when grooming pets at our salon. A deep massaging bath with our recirculating bathing system. This gets pets cleaner faster with the added benefit of a soothing all over body massage. Great for older pets. All of our shamppos and conditioners are all natural. We hand dry each pet with high velocity dryers. They are a little noisy, but we put cotton in the pets ears to muffle the noise and dry out their ears. This gets the pets dry fast with no heated cage dryers and no pets sitting around getting cold. Also, it preps the coat the best for a great haircut! Around sensative areas we use a quiet cordless clipper that stays cool and does not scrape. We use a clipper vac system that keeps the clipper blades cool and helps provide a more even cut. We are a small two person salon, so your pet is always greeted by a familiar face. This is very comforting to them as we can build a close relationship, thus making grooming a tolerable and fun experience. Since we are a small salon, the pets are always supervised. We never leave pets unattended in our salon. As a privately owned salon we are able to use many different products. We have many different shampoos and conditioners to fit any pets needs. Many of the products used in the salon are the same products we use on our top winning show dogs.